You may have noticed we have been reviewing the Degustabox on the blog recently (You can view last months box review HERE). I loved receiving our box last month its really exciting awaiting the parcel to see what goodies will be inside this month. This month was no exception as and the end of the month approached I eagerly awaited the delivery of my next Degustabox. I was not left disappointed! As usual the box contained a good mix of meal, drink and snack items. Grabbed out of the box first by the eagerly awaiting 4 year olds hands was the Shaken Udder Milkshake. We were sent the strawberry flavour and I was very much assured by James it was delicious! I loved the carton size as it was perfect for little hands and didn't easily spill when squeezed (as all kids do lol). We will definitely be keeping an eye out for this brand in the future! 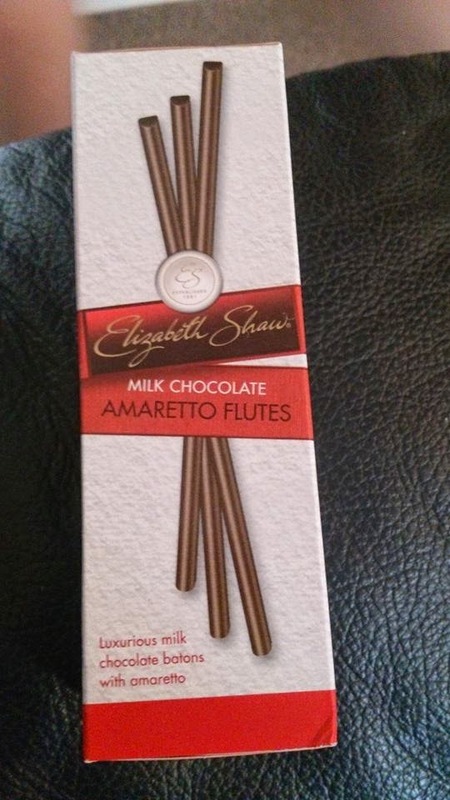 Next up was the Elizabeth Shaw amaretto flutes. We tried out the Elizabeth Shaw dark chocolate crunch flutes last month and loved them so I was looking forward to trying a different flavour. I was not disappointed they were delicious and had a slight marzipan taste to them! 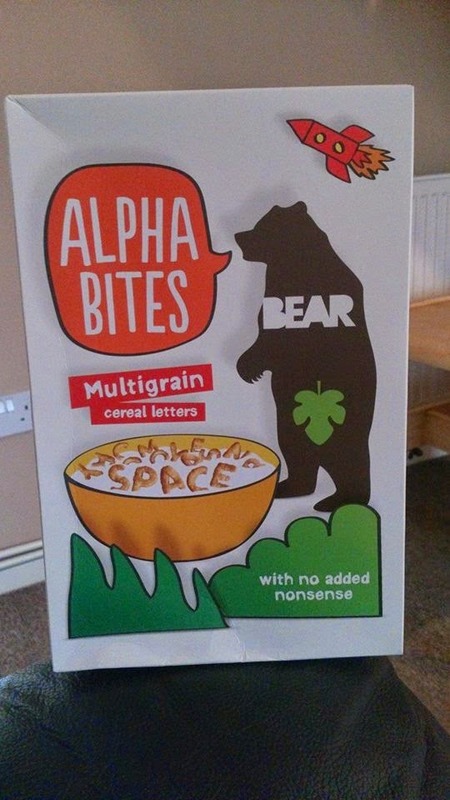 Also included in the box was this Bear nibbles Alpha Bites cereal. I hadn't seen this brand before so was intrigued to find out a little more about it and was pleasantly surprised to find out they contain no refined sugar or salt, Are low GI, Naturally high in calcium and are made from 5 tasty grains! Im not a big breakfast eater (what with running around after James, peanut and trying to get hubby to work on time) I quite frankly struggle to find time lol! But I did like the crunch these had and they were a big hit with James! 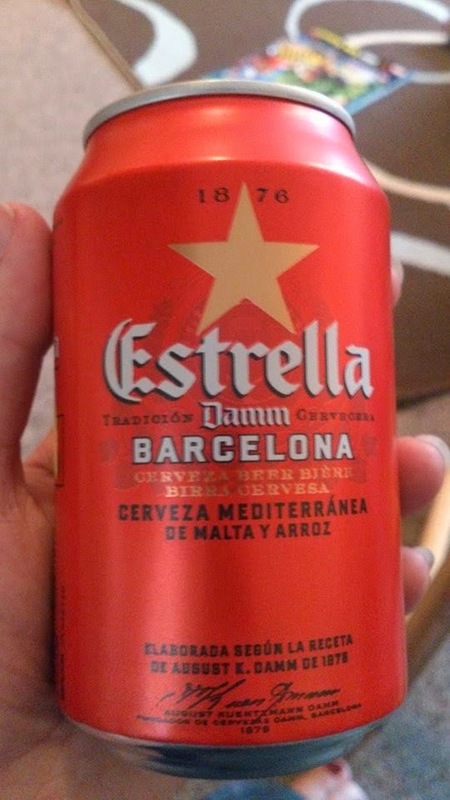 Instantly spotted by hubby was the addition of the Estrella Beer included in this months box. I personally dont drink beer but hubby does and this was a brand he hadn't tried before so was intrigued to try it out. With the world cup on he had the perfect excuse to sit on the sofa with a cold beer watching the football! He said the beer was really nice. It had a really good flavour and wasn't to gassy. So hubby had the beer that means I got the Lambrini!!! 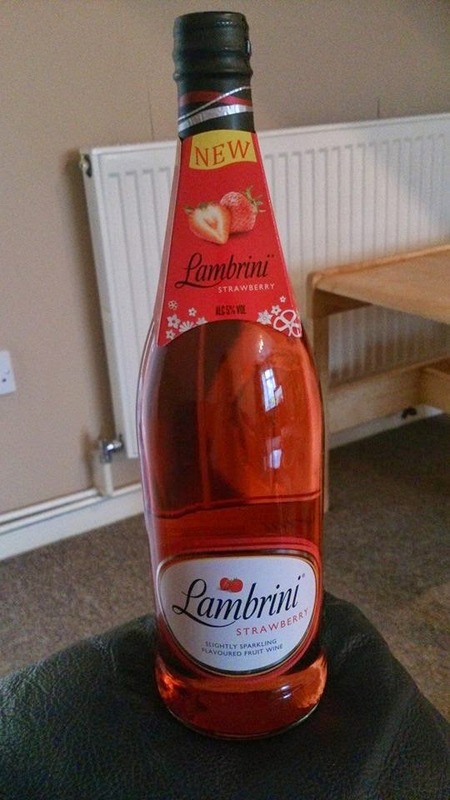 Included in this months box was one of Lambrini's new summer flavours Strawberry. After going nearly a whole year without any alcohol whilst being pregnant with peanut I have really enjoyed being able to sit down on an evening with a nice glass of something and this was delicious! It has a lovely sweet taste and you can really smell and taste the strawberry flavour. I was really intrigued when I found these to breakfast drinks in the box. 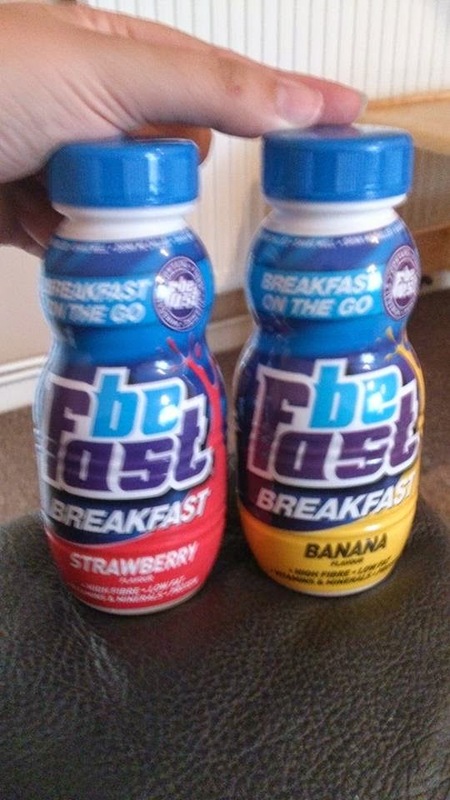 I hadn't head of the brand before or the idea of a breakfast "drink" and as I mentioned above I rarely find time to have breakfast so these may be an ideal alternative. I haven't actually got around to trying them yet but I like the classic flavours and the handy bottle size that I could quickly grab or pop into my bag as im heading out the door. 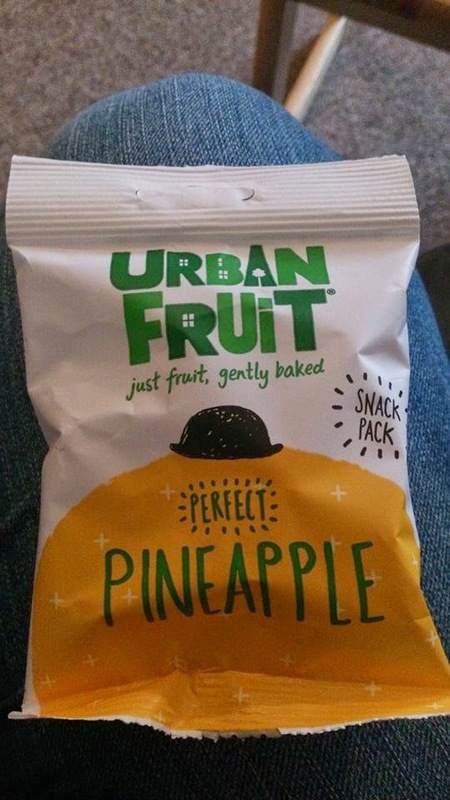 Also included was this snack pack of Perfectly pineapple from Urban fruits. This is just fruit that has been gently baked and packed into a handy snack pack. I was expecting something quit hard but these have more of a chewy texture and are quite sweet. James was unsure at first but soon came to like them and I could see they would make a great addition to lunch boxes and as they come in a handy snack pack perfect to keep in your bag for when the kids suddenly claim they are starving whilst your out and about lol! These also come in Mango and strawberry flavours. I really enjoy baking with James (although I haven't really managed to do it much since peanuts arrival). So I was delighted to find another Dr Oetker product in this months box (Last month had the baking release spray). I usually use Vanilla essence when cooking so it will be a real treat to have some proper vanilla pods to use when I next get to baking. 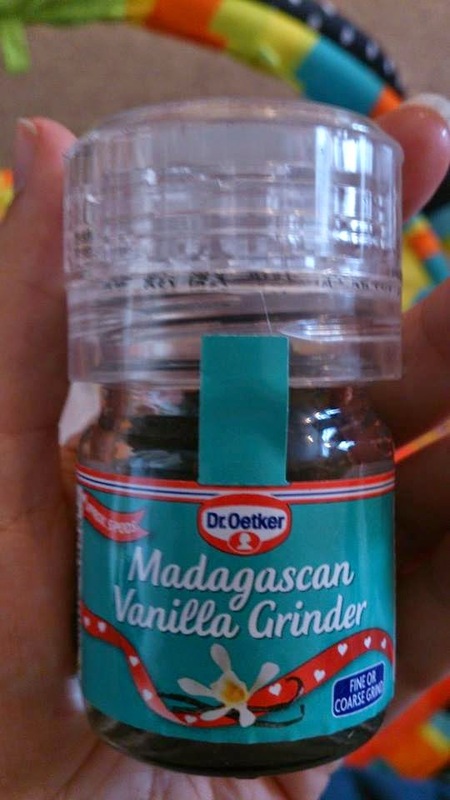 This comes in a handy little grinder and can be set to a coarse or fine grind. 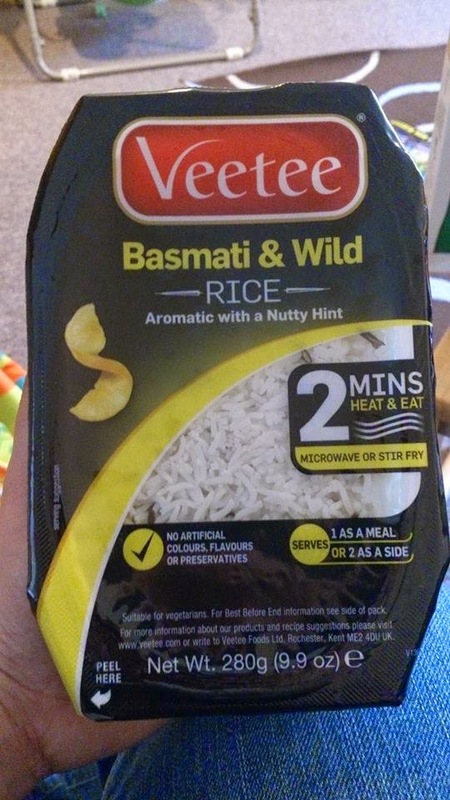 Finally in our box was this Microwaveable Basmati and Wild rice from Veetee. I hadnt heard of this brand before and in all honesty we don't use a lot of microwaveable rice however the flavour sounds really nice. I think this would be really handy to have in the cupboard as it would make a great addition to a quick midweek meal if you are running late and have to dash out the door! As you can see lots of great products on our box this month again! Some brand I had heard of other not and this is why I really love these type of boxes as they can introduce you to brand you may otherwise not had picked up and tried. The boxes are priced at just £12.99 and there is no commitment to continue if you decided not to after your first box. This is a great price and the products you receive always far outweigh the cost of the box! Fancy trying a Degustabox for yourself? Or find out more info about Degustabox here.. I love the selection this month, looks so delicious! Ooooh, these look fab for introducing new foods to the family, and I love the Vanilla grinder. Looks like a good variety. Looks like a great mix! We love Bear products, they're delicious. I like this box, we love Bear snacks and I actually had a bottle of Estrella today (although I'll admit it was my first time) and strawberry lambrini sounds nice. I always have some packets of microwave rice handy, just in case. Sounds like a really interesting box! I think most of the things that came would be a success in our house too! i had this box too. I particularly like the milkshakes and the rice. I think these boxes are good value, and it's always interesting to see what you will get. I quite like this idea - I'd probably end up trying different things that I would never buy! A great selection of treats. 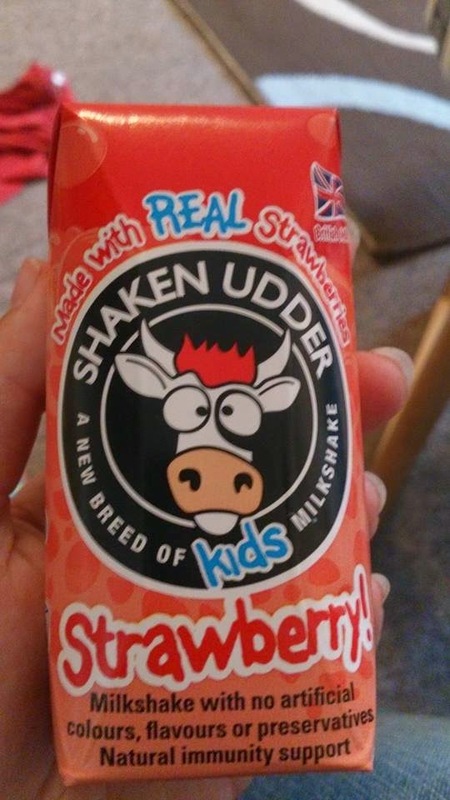 My children are big milkshake fans so I might look into the Shaken Udder brand.